official course registration and class availability. ESI offers a number of Certificate and Credential Programs. The student may select either a full time resident classroom instruction format or the combined On-line Education/15 Day Resident Training version, which permits the student to enter into an independent study of correspondent courses that are completed on-line and then attend 15-Day Resident Training in Executive Protection. The Residency Program is a classroom-practical training that is made up of four Modules: 28-Day Executive Protection, 28-Day PSD Protective Operations, 28-Day Corporate Crisis Management, 21-Day Designated Defensive Marksmanship. The Modules can be taken sequentially or separately. ESI offers to graduates of all State of Colorado Department of Private Occupational Schools approved programs a Certificate of Completion for completing either format of the Residency Modules or one of the combined On-line Education/ Resident Training programs. 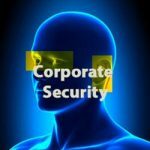 The ESI Identification Credential is not required by the State of Colorado Department of Private Occupational Schools , but is well known and respected in the security industry as the standard for academic and practical training in high risk, executive protection, protective intelligence and Corporate Security. 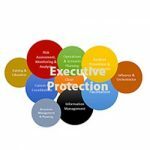 ESI’s Combined On-line Education/Resident Training Certificate and Credential Programs: the Executive Protection Program and the Security Specialist Program — offer flexible formats. 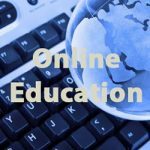 Each requires a core of five specialized On-line Education courses, and, depending on the program, four to thirteen elective On-line Education courses, as well as a Resident Training component. Thus, the student has the opportunity to customize his or her training according to their needs. 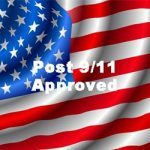 A Certificate of Completion is awarded in the Executive Protection, PSD Protective Operations, and Corporate Crisis Management for fulfilling the requirement of each Program. The Certificate has no Grade Point Average requirement. Certificate of Completion in the Executive Protection requires attendance of the 15-Day Resident Training and completion of Nine On-line Education Courses containing 54 lessons that are graded on a percentage of a potential 100 points and must be completed in nine months. The same Certificate for Executive Protection is awarded for the completion of the 300 Clock Hours/28-Days of classroom Residency training. A Certificate for Corporate Crisis Management is awarded for the completion of the 260 Clock Hours/28-Days of classroom Residency training. Option 1: Certificate of Completion in Security Specialist requires attendance of the 15-Day Resident Training and completion of eighteen On-line Education Courses containing nine lessons each. The eighteen courses are graded on a percentage of a potential 100 points and must be completed in eighteen months. ESI awards an ESI Identification Credential for completion of any Core Program whether On-line Ed/Resident Training or full time Residency with a Grade Point Average of 80% or above. Completion of the Residency Program with less than 80% will be awarded a Certificate of Completion. Completion of lessons with a 90% GPA will be awarded “With Honors” designation on the Credential. C.S.S Identification Credential has two formats:The C.S.S. is awarded for completing 18 On-line Education Courses containing 108 lessons and 15 Days of Resident Training in Executive Protection with an accumulative Grade Point Average of 80%. Completion of the program with less than 80% will be awarded a Certificate of Completion. A GPA of 90% is awarded a CSS Credential with Honors. Alternatively, the CSS Credential can be attained by completing classroom and practical exercises in two 28-Day Residencies with a GPA of 80% or above. A GPA of 90% is awarded a CSS Credential with Honors. The two Residency Core Programs are Executive Protection and Corporate Security & Threat Management. C.P.S.™ Identification Credential is attained by completion of 600 Clock Hours of lessons consisting of nine On-line Education courses containing 54 Lessons, and 15 Days in Resident Training or 28-Days of classroom and practical exercises in the Executive Protection Residency Program with a combined Grade Point Average of 80% or above. Completion of the program with less than 80% will be awarded a Certificate of Completion. While there is no time limit placed upon completion of lessons in On-line Ed curriculum, after nine months no refunds will be due. There is no extra cost associated with completing the Credential Program. C.C.M.S. Identification Credential is attained by completion of the 28-Day of classroom and practical exercises in the Corporate Crisis Management Program with a total Grade Point Average of 80% or above. Completion of the program with less than 80% will be awarded a Certificate of Completion. The Corporate Crisis Management Program is only offered in Residency format. There is no extra cost associated with completing the Credential Program. 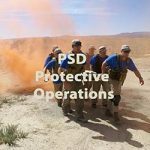 CERTIFIED PSD PROTECTIVE OPERATIONS SPECIALIST, C.P.S.O.S. C.P.S.O.S. Identification Credential is attained by completion of 28-Days of classroom and practical exercises in the PSD Protective Operations Residency Program with a combined Grade Point Average of 80% or above. Completion of the program with less than 80% will be awarded a Certificate of Completion. There is no extra cost associated with completing the Credential Program. GPA in Residency Program is derived by accumulative scores of open book lesson tests, special written team and individual assignments and practical skills testing from each course and averaged for a grade in the Module. The GPA of the three Modules are averaged to attain the Certified Security Specialist Credential. The GPA for the combined On-line Ed/Resident Training is derived by combining On-line Education (value 40%) and Resident Training (value 60%). If a student scores under 80% in any Resident Training class, a re-examination can be scheduled for a later date. Instructors will grade students on performance and adherence to ESI standards of safety and conduct. Each student is given an evaluation of his test scores at the completion of the program. In return, students are asked to evaluate instructors and classes. All Residency Program courses are graded by open book lesson/test method for each course within a Module of the program. Special written Team and Individual assignments are required in some courses. The Certificate of Completion students need only pass the each course within a Module with a Pass or Fail Grade with failure calculated at 70% or less. Each course undertaken within each Module will be included in the computing of the GPA. A GPA minimum of 71% will be required at the end of each Module to enter the second and third Module. If the student scores 70% or less in any course, a re-examination can be scheduled for a later date. If the student drops below 60% in the first half of the program, he or she will be terminated from the training.If the student achieves a cumulative GPA of 80% or better in each Module, the student is awarded an ESI Credential, and a GPA of 90% is awarded an ESI Credential “With Honors”. The On-line testing. The will complete the online test and will receive a grade on the test immediately upon submission for grading. Certificate of Completion students need only pass the single lesson contained in each course with a Passing Grade. The ESI Certificate of Completion is awarded after completion of both On-line Education and Resident Training. Every student will be required to maintain a minimum composite On-line Education grade score of 60% to qualify for a Pass Grade. If the student scores under 70% in any course, a re-examination can be scheduled for a later date. If the student drops below 60% in the first half of the program, he or she will be terminated from the training. The Identification Credential contains 54 Lessons in the Program and several courses require special assignments to be completed as part of the testing score. For students who pursue the Extra Credit, an ESI transcript of Grade Point Average is mailed to the student upon completion of all lessons, tests and special assignments. During Resident Training, instructors administer either a written or practical test at the end of shooting, medical, protective detail operations, and stalking problem classes. Each student who scores a composite 80% or better in the practical examinations and who satisfactorily completes Residency Program or the On-line Education /Resident Training will be given an ESI Identification Credential as a qualified PSD PROTECTIVE OPERATIONS SPECIALIST, SECURITY SPECIALIST, PROTECTION SPECIALIST, or CORPORATE CRISIS MANAGEMENT SPECIALIST. Certificate of Completion students are graded in On-line Education courses with open book Pass or Fail grade. Resident Training contains a number of Skill Based Tests. Students who pursue the Identification Credential are graded by calculating Grade Point Average of both 54 and 108 Lessons of On-line Education and Resident Training. The grade for each course is found by counting the average of the lesson examination grades. Letter grades are converted to percentage points for the purpose of computing the Grade Point Average for each semester. Students who officially withdraw from a course are given a grade of I (Incomplete). Students who have maintained a Cumulative Grade Point Average of 3.5 (90%) or better and completed all other requirements for graduation will receive their Credential with honors. The School may request that the applicant to take a proficiency test in a course the student desires to be given credit, and the minimum passing score is 77% or better. A lower score will mean that the student will not receive academic credit for the course. Granting of credit for academic or work experience does not impact stated Refund Policy. (COVET) for Veterans Education and Training Benefits. Credit for Previous Education and Training Acceptance Policy. 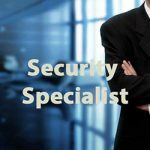 Executive Security International, Ltd. (ESI) will evaluate previous education and training and when applicable credit will be given. ESI’s On-line Education courses are approved and regulated by the State of Colorado Division of Private Occupational Schools Board. Permanent records of grades and scores are maintained on school premises and copies are available for a nominal fee. Credit given by other post-secondary institutions for training completed at Executive Security International is at the discretion of each institution, which has the privilege of extending or withholding transfer credit, based on their educational standards and curriculum. The school does not guarantee the transfer of its credits to any other institution unless there is a written agreement with another institution. The nine On-line Education Courses in the Executive Protection Program must be completed in nine months, or eighteen months for the Security Specialist Program after which time the student will not be entitled to a refund. All Residency Programs are conducted entirely in classroom settings at ESI’s training facility in a 28/15-Day format. Whether the student completes a Core Program in combined On-line Ed-Resident Training or full time Residency, the Certificates and Credentials are equivalent. Further, applicant understands that Tuition does not cover additional required books, food, lodging, or gun rental during Resident Training or transportation to the training sites. In Residency classroom instruction requires attendance of 96% or 26 days of the 28-Day Executive Protection, PSD Protective Operations and Corporate Crisis Management. Non completion of On-line Education courses for thirty days without official Withdrawal will determine the point at which the student ceases to make satisfactory progress, and will be placed on academic probation for twelve months. If no further progress is made, the student will be terminated from the program. A terminated or cancelled student is eligible for Tuition Refund stated below or re-enrollment with full credit for tuition paid and academic grade. All information regarding Admissions, Withdrawal, Termination, and Refund Policy is identical with ESI’s Certificate Programs. Executive Security International, Ltd. (ESI) is a state approved academy for approved Certificate Programs of combined Resident Training and Distance Education by correspondence as well as full time Residency study. ESI is approved and regulated by the Colorado Department of Higher Education, Private Occupational School Board. Students who cancel or terminate a Certificate Program may re-enroll with full credit for tuition paid towards their chosen program and for academic courses completed for a period of five years. After six years, ESI is not obligated to preserve records and may not be able to validate claims of tuition paid and lessons completed. In such cases, the administration will make a good faith effort to reconstitute records, but cannot guarantee success. Failure to maintain minimum academic progress. Failure to complete the program. The Residency Program requires attendance of every day of classroom instruction. A student is suspended from the program after three days of absence from classroom instruction during any Module. The student may officially Withdraw from a Module course with a grade of Incomplete for twelve months before the Incomplete is converted into Zero Credit for the course. Zero (0) Grade will be averaged with completed courses in order calculate GPA for a Module. Computers are required tools at ESI, and their use in class is for the purpose of class related research and following of lecture notes. Personal use of Facebook and other unrelated Internet browsing is grounds for dismissal from the class. Personal Texting during class is prohibited. Time for texting is provided for during breaks. Daily attendance in all sessions is required. Failure to have a legitimate excuse can result in disciplinary action, including termination from the program. Repeated tardiness to class is subject to disciplinary action. All students are required to participate fully in Team activity. With the approval of Administration, Teams have the authority to fire or dismiss a delinquent member from their team. This action could deny the student eligibility of the ESI Credential. Cheating, copying or plagiarizing of another Teammate’s work can result in drastic reduction of grade for both parties. Being disrespectful towards staff or students constitutes grounds for expulsion. Disruptive behavior is prohibited and grounds for disciplinary action, including expulsion. ESI has a “Dress Code” and students are expected to wear the uniform as directed. Students are required to follow directives given by staff and instructors. Any behavior that embarrasses ESI constitutes grounds for expulsion from the school. Carrying a concealed firearm is strictly prohibited and grounds for termination. All weapons must be checked into the school for safe storage. Students are expected to maintain room cleanliness. Falsification of information can result in termination from the school. Students are required to abide by ESI’s policy with regard to alcohol and drug abuse. Violation of school policy is grounds for termination. Smoking is permitted outside conference rooms on breaks only. Students are responsible for Hotel expenses and damages. Certificates and Credentials can be withheld until these expenses are paid. Students are responsible for loss or damage to equipment and vehicles. Drivers of ESI vehicles are responsible for traffic or parking tickets. Fill out ESI ENROLLMENT FORM. Submit a copy of your high school diploma or equivalence (GED). Students under the age of 18 will be required to have release forms signed by a parent or guardian. Students must be 18 years of age to attend Resident Training. Prior to attendance of Resident Training for Executive Protection or PSD Protective Security Detail, applicant must submit letter from his or her local police agency indicating a no felony conviction record or the applicant submit a copy of a current Conceal Carry Permit, Private Detective License from state of residence, or current Military Identification Card. The Tuition is set forth in the Enrollment Form. ESI may alter the price of its programs at its discretion. The On-line/Resident Training Certificate program is divided into two phases; the student is encouraged to complete the academic phase before the next phase is begun. Due to class scheduling, this may not be possible. The school will allow students to attend Resident Training and complete On-line Education afterwards. The student may cancel his/her enrollment at any point within the program, within any phase of the training by notifying in writing the ESI National Office in Grand Junction, Colorado of their decision to cancel. 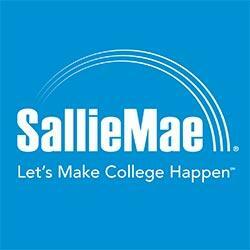 ESI offers two types of financing: Private Financing by SALLIE MAE, a company that is Federally supported and deals directly with the student. ESI acts only as a referral source. ESI also offers a no-interest financing arrangement for payment of On-line Education courses as a last resort. However, this form of financing requires that courses are shipped to the students at the rate of payments. If the student desires to move at an accelerated pace by receiving all nine courses at once, the student must either seek private financing or pay cash in full. Training is conducted at 718 Horizon Dr. Grand Junction, Co. A laptop computer is required for all courses. 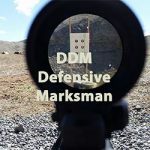 Firearms are required for the Executive Protection, PSD and Designated Defensive Marksmanship course. If the student does not have their own firearm, one can be rented from the school at an additional cost. Shooting portions of the program will be conducted at the William Jarvis Shooting Range 3287 Reeder Mesa Rd. Whitewater, Co 81527. For Veterans who are eligible to pay for the tuition from VA Educational Benefit plans are protected by this Refund Agreement until the student has completed 100% of the training program. A $500 non-refundable surety deposit is required upon enrollment into one of the residency programs. The fee will be returned to the Veteran, when the school receives payment from the VA. If the Veteran decides to not attend the non-refundable surety deposit will be retained by the school. This deposit can be used toward a future class for the time period of 1 year, after which time a new deposit will re required. In the case of students after commencement of classes, the school will retain a percentage of tuition and fees, which is based on the percentage of contact hours attended, as described in the table below. The refund is based on the first date of recorded attendance. The student may cancel this contract at any time prior to close of the third business day after signing the enrollment agreement. The official date of termination for refund purposes is the last date of recorded attendance. All refunds will be made within 30 days from the date of termination. The student will receive a full refund of tuition and fees paid if the school discontinues a course or program within a period of time a student could have reasonably completed it, except that this provision shall not apply in the event the school ceases operation. Complaints, which cannot be resolved by direct negotiation between the student and the school, may be filed with the Division of Private Occupational Schools. The Division shall not consider any claim that is filed more than two years after the date the student discontinues his/her training at the school. When the student attends Resident Training, ESI’s Tuition Payment Policy is not to execute a charge to the student until he or she has completed 11 days of training. Whether the student pays by Credit Card or Cash, ESI will not charge the card or deposit currency until the student has completed 75% of the course. In the event that the student decides to cancel prior to completion, Refund Policy will apply according the percentage of the course completed, but the Refund will be paid immediately. Up to and including completion of the first 10 percent of the resident training in terms of days, 10 percent of the tuition, plus a cancellation charge of $100. After completing more that 10 percent of the resident training and up to and including completion of 25 percent of the resident training in terms of days, 25 percent of the tuition, plus a cancellation charge of $100. After completing more than 25 percent of the resident training and up to and including completion of 50 percent of the resident training in terms of days, 50 percent of the tuition, plus a cancellation charge of $100. If a student should cancel after completion of 50% to 75% of the training in terms of days, the student will be responsible for 75% of the contract price for resident school tuition. Cancellation charges will not be levied on the student. If a student should cancel after completion of 75% or more of the training in terms of days, the student will be responsible for the total contract price and all other fees charged. No refund will be due after completion of 75% of the course. Refunds due will be paid within 30 days of termination. Termination from program requires that the student notify the school in writing of his or her intention to discontinue the program. This Tuition Protection Agreement limits the student’s obligation to only a fraction of the tuition until the student has actually finished at least 75% of the training program. Food and Housing is a separate cost consideration. ESI reserves the right to make changes in the training program when necessary. However, these changes will never involve any added tuition cost to the student for the length of the contract. Postponement of a starting date for Resident Training, whether at the request of the school or the student, requires a written agreement signed by the student and the school. The agreement must set forth: a) Whether the postponement is for the convenience of the school or the student, and : b) a deadline for the new start date, beyond which the start date will not be postponed. If the course is not commenced, or the student fails to attend by the new start date set forth in the agreement, the student will be entitled to an appropriate refund of prepaid tuition and fees within 30 days of the deadline of the new start date set forth in the agreement, determined in accordance with the school’s refund policy and all applicable laws and rules concerning the Private Occupational Act of 1981. To protect the integrity of our program, ESI reserves the right to discontinue a student’s training if that student fails to maintain ESI’s standards of conduct or achievement level. In such a case, refunds will be made according to the Tuition Protection Agreement. An enrollment may be cancelled by an applicant student within five (5) calendar days after midnight of the day on which the enrollment agreement is signed. An applicant student requesting cancellation in whatever manner within this time must be given a refund of all money paid to the school or its representatives. From five (5) calendar days after midnight of the day on which the enrollment agreement is signed and until the time the student request cancellation up to 30 days from the date of course shipment , the student shall be given a refund of all monies paid to ESI, less a registration fee of $100. If the student is not accepted by the school, a full refund will by paid. If ESI fails to provide the educational service subscribed to by the student, a full refund will be paid within 30 days of termination of the course discontinuation. Credit for previous training or work experience will not alter the refund policy. Refund policy will apply to academic equivalency credit which will depend upon the percentage of courses received and paid for by the student. Up to and including receipt of the first 10 percent of the program, 10 percent of the tuition, plus a cancellation charge of $100. After receipt of more than 10 percent of the program and up to and including receipt of 25 percent of the program, 25 percent of the tuition, plus a cancellation charge of $100. After receipt of more than 25 percent of the program and up to and including receipt of 50 percent of the program, 50 percent of the tuition, plus a cancellation charge of $100. After receipt of more than 50 percent of the program and up to and including receipt of 75 percent of the program, 75 percent of the tuition. No cancellation charge will be levied on the student after he or she has received 75% of the course. A student who has received 75 percent of his program and shall not be entitled to any refund and shall be obligated for the full price of the On-line Education portion of the program. This Tuition Protection Agreement limits your obligation to only a fraction of the tuition until you have actually received at least 75% of the program. ESI reserves the right to make changes in the training program when necessary. However, these changes will never involve any added tuition cost to the student for the lenght of the contract. The student’s contract price is guaranteed for one year from the date of your signature on the Enrollment Agreement. To protect the integrity of our program, ESI reserves the right to discontinue the student’s training if the student fails to maintain ESI’s standards of conduct or achievement. In such a case, refunds will be made according to the Tuition Protection Agreement.